How do I check in visitors? When viewing a place, tap the blue check in button to add a visitor. Search for your visitor's name or number. 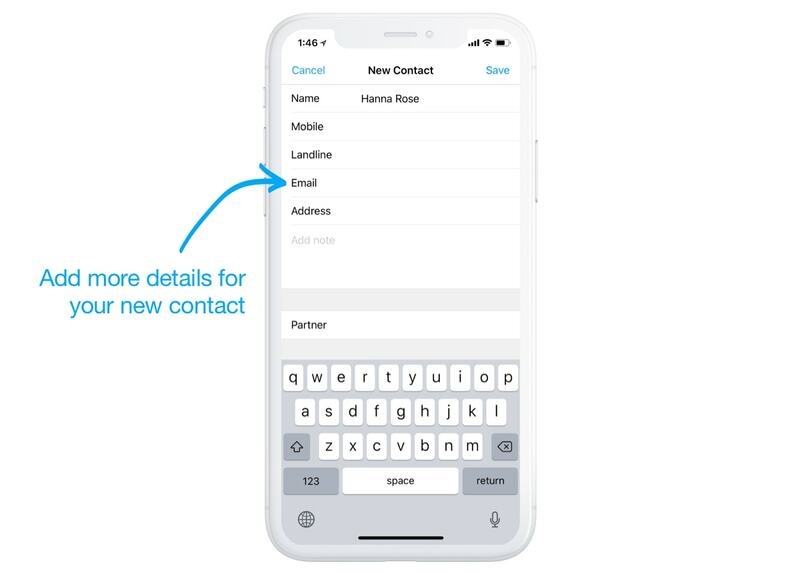 If there are any matching contacts, you'll see them under Suggested – otherwise, simply Create New Contact. If you're using MyDesktop, you're able to add an address book to access matching contacts from within MyDesktop. Learn more. 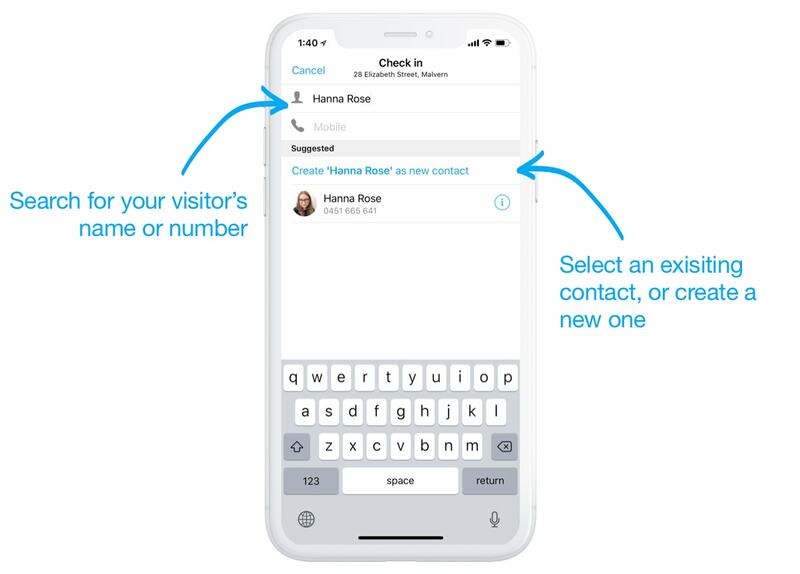 If you're creating a new contact, you're able to add further details – like landline or address. 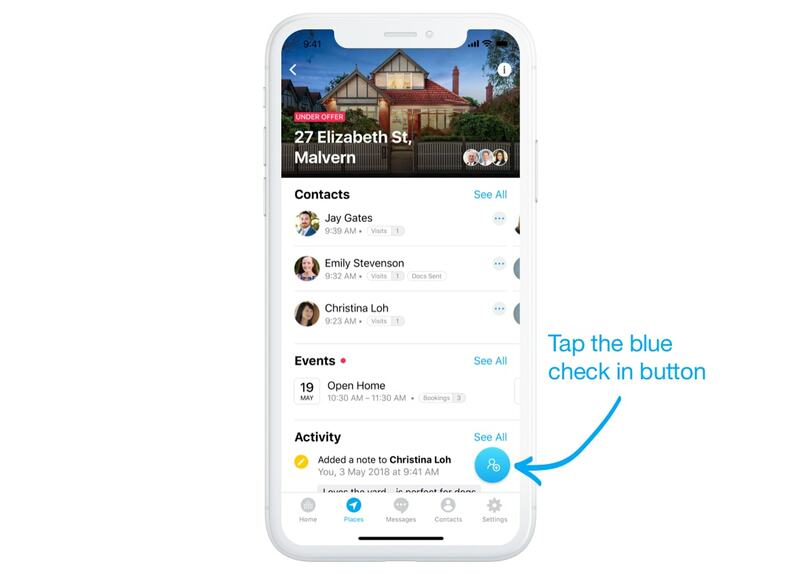 If you're checking in an exisiting contact, you can (optionally) tap the blue info button to view their full profile and edit their details. 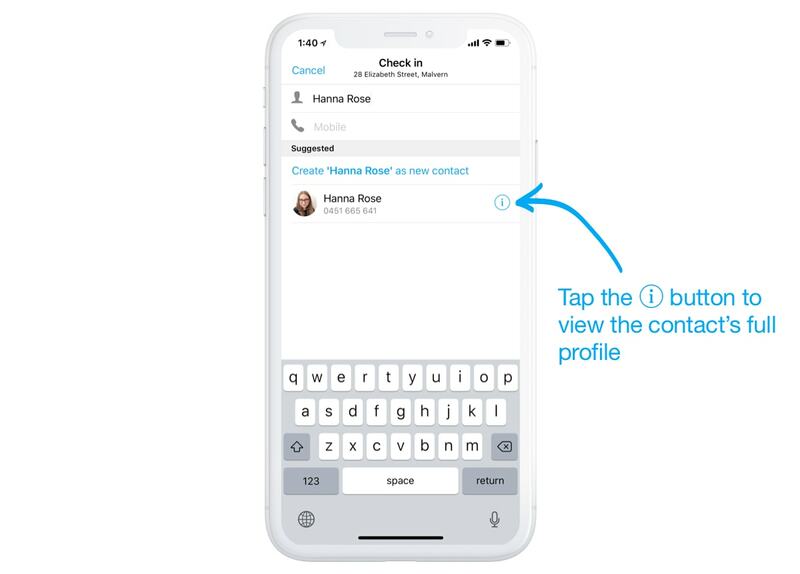 Whether you're checking a new or existing contact, you'll see this screen – where you can choose to send the mobile brochure, or add a note. When you're ready to check your contact in, tap Done. That's it! 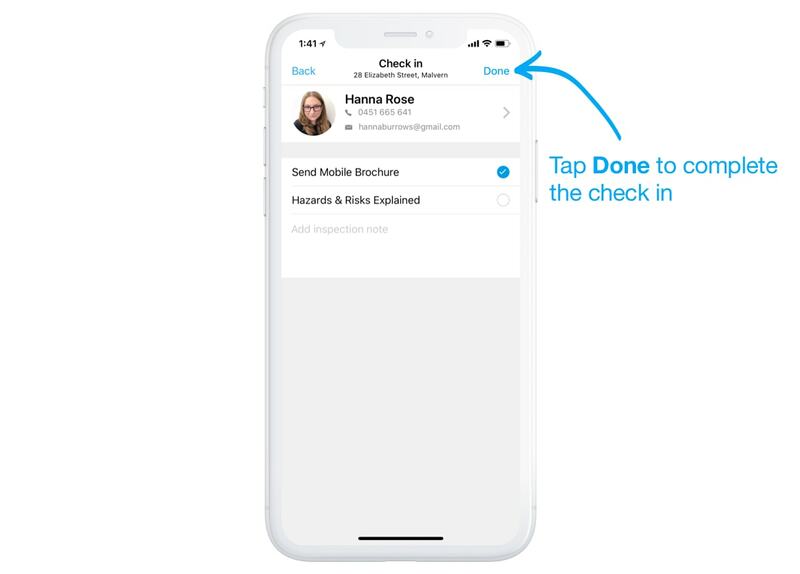 Your contact is now checked in, and will sync to your connected CRM. If you'd like, you can also use kiosk mode to enable self-service check ins. Learn about kiosk mode here.